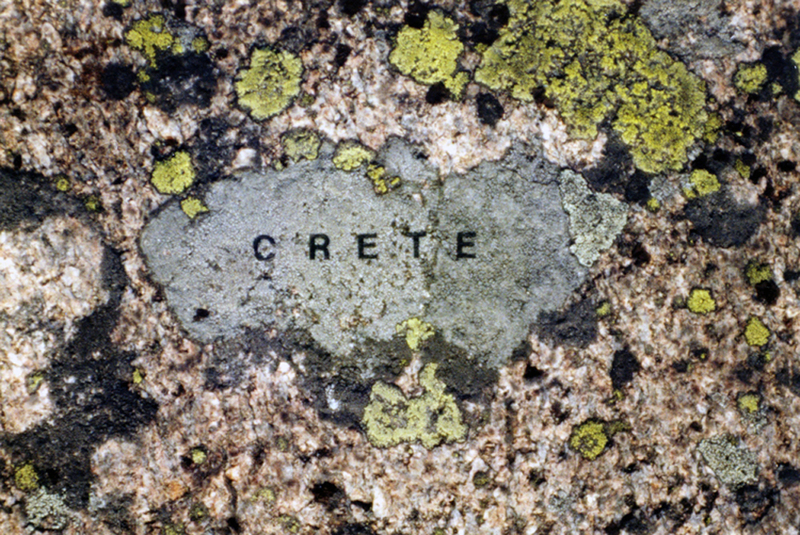 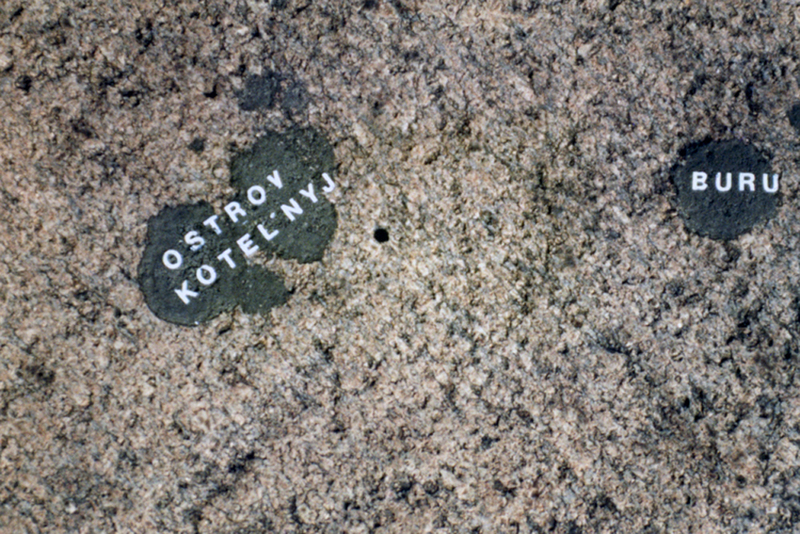 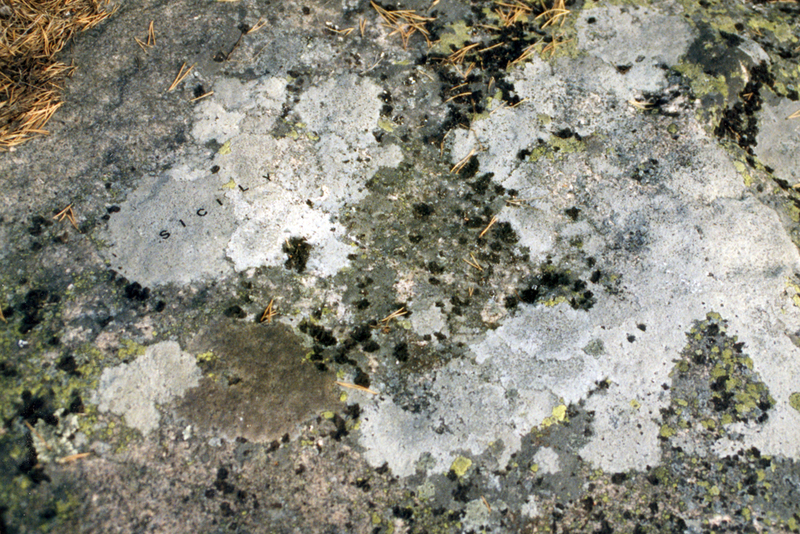 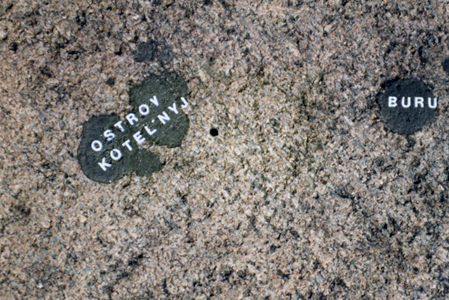 There is a type of lichen which is very common in the Finnish archipelago and my family's summer house sits on a large granite hill covered with it. 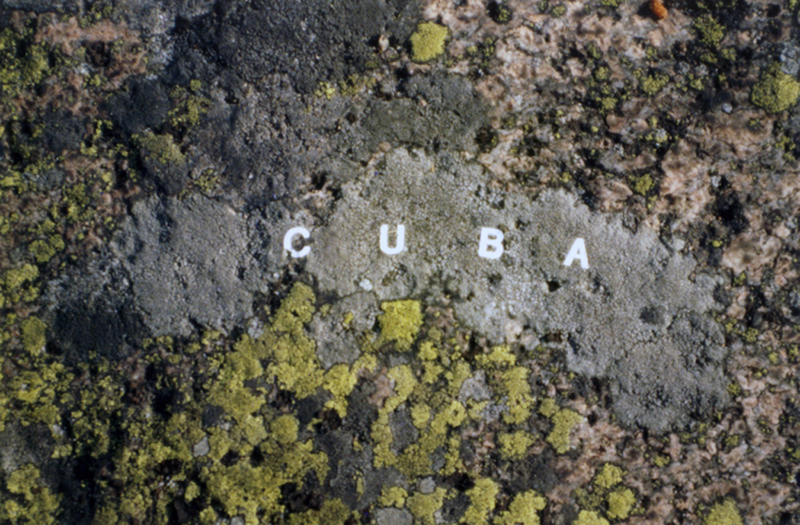 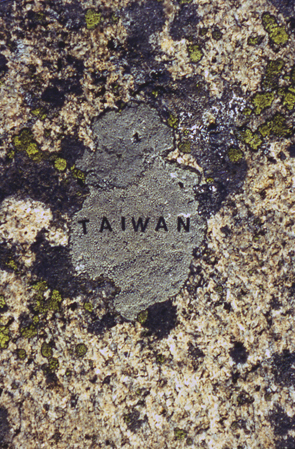 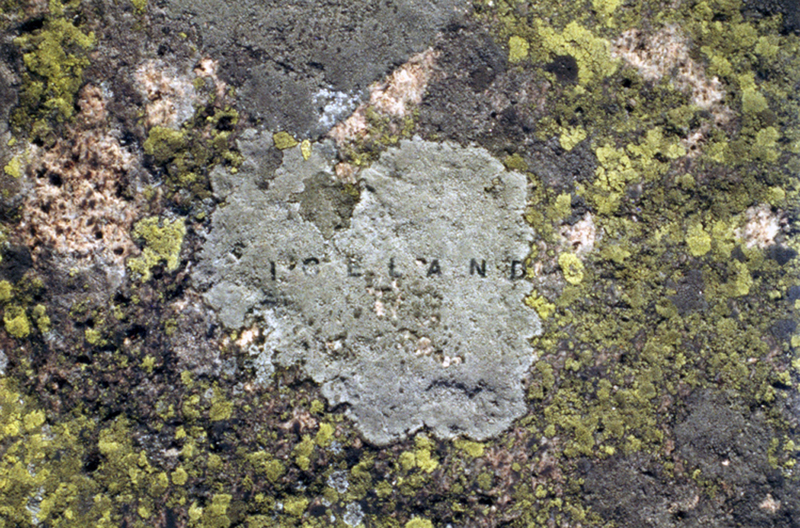 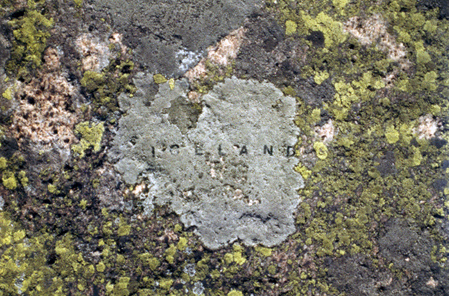 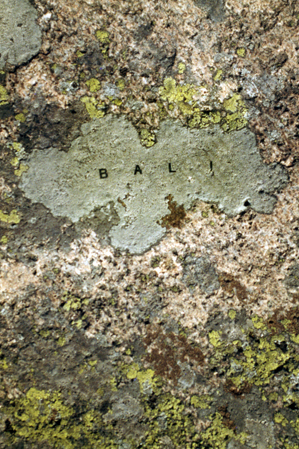 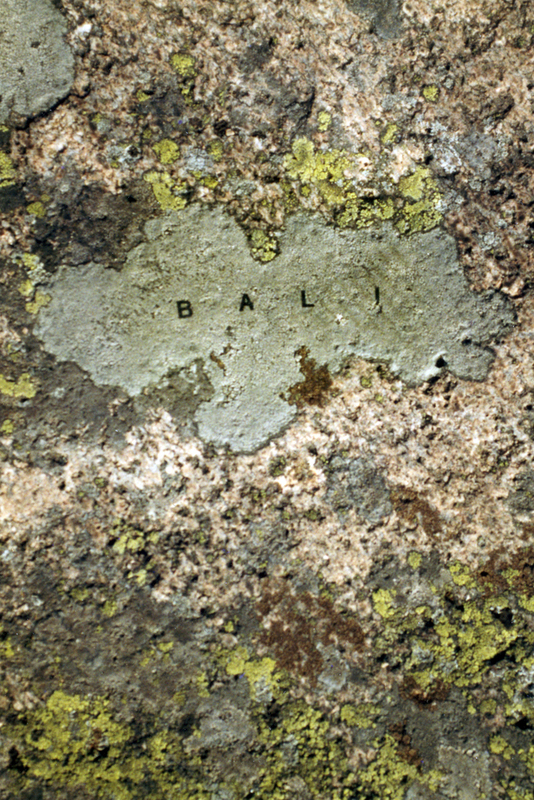 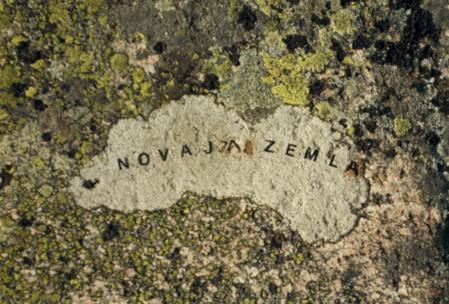 I have always seen certain shapes as islands or continents, and decided to affix rub-on letters directly to the lichens to identify them as the places I recognized. 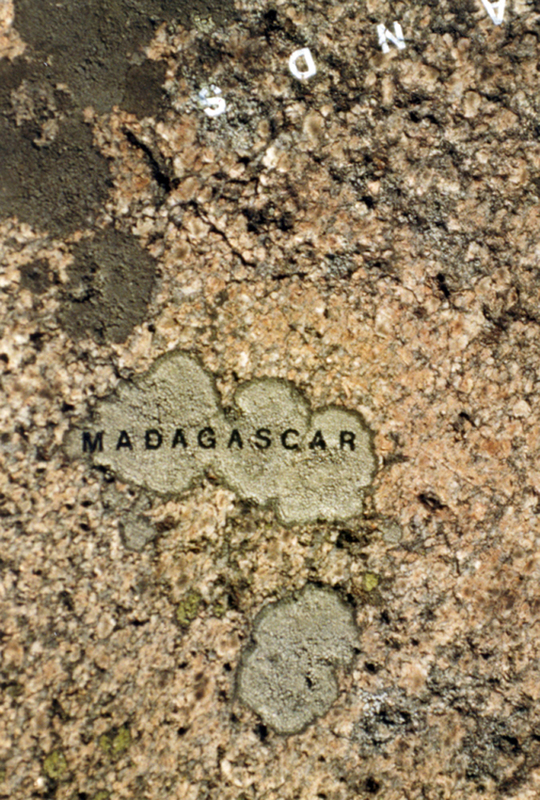 When I had finished, the whole hill had become a kind of scrambled atlas. 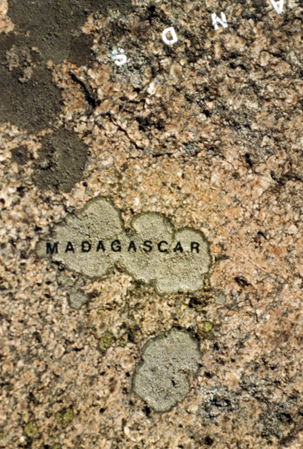 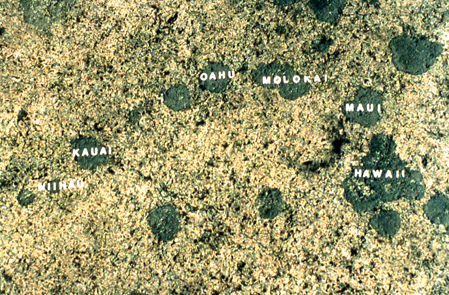 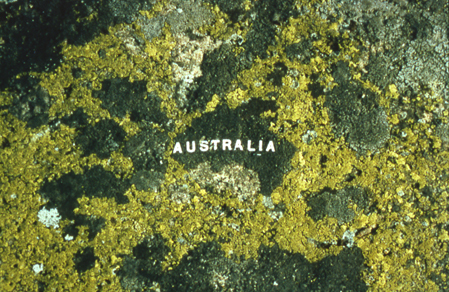 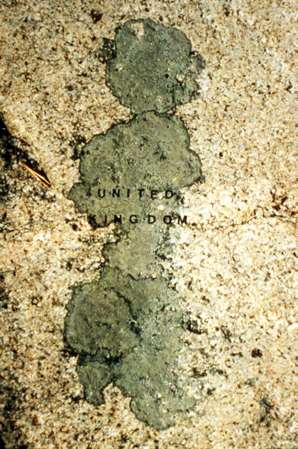 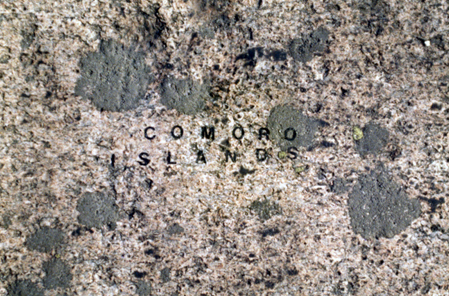 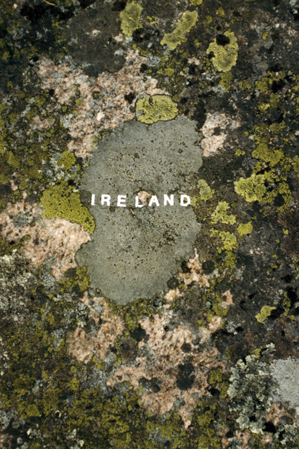 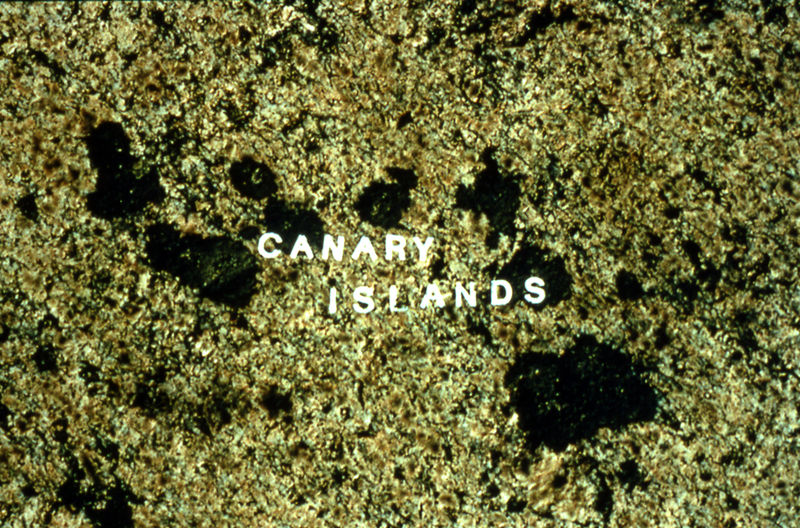 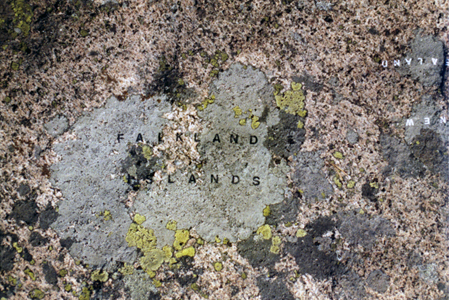 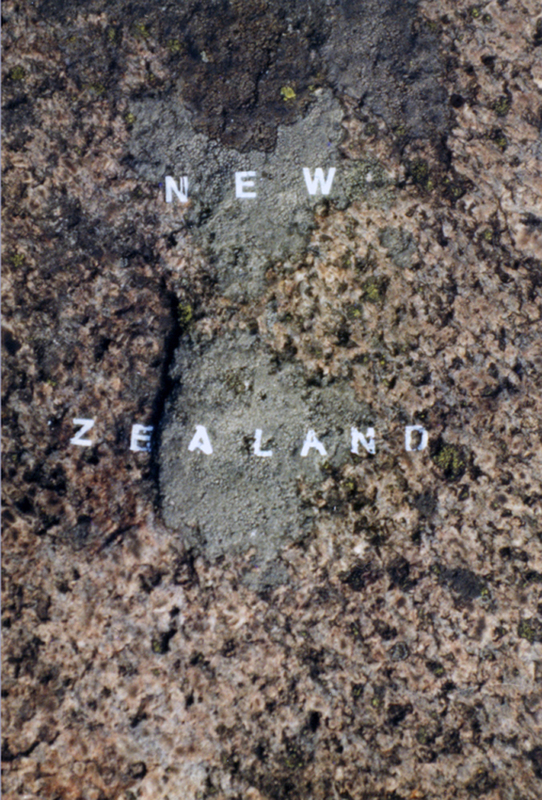 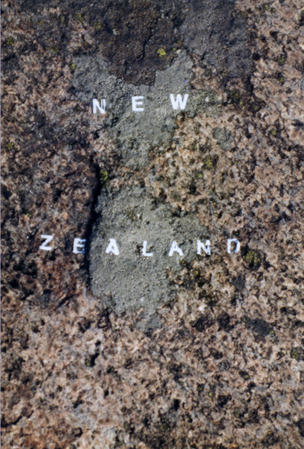 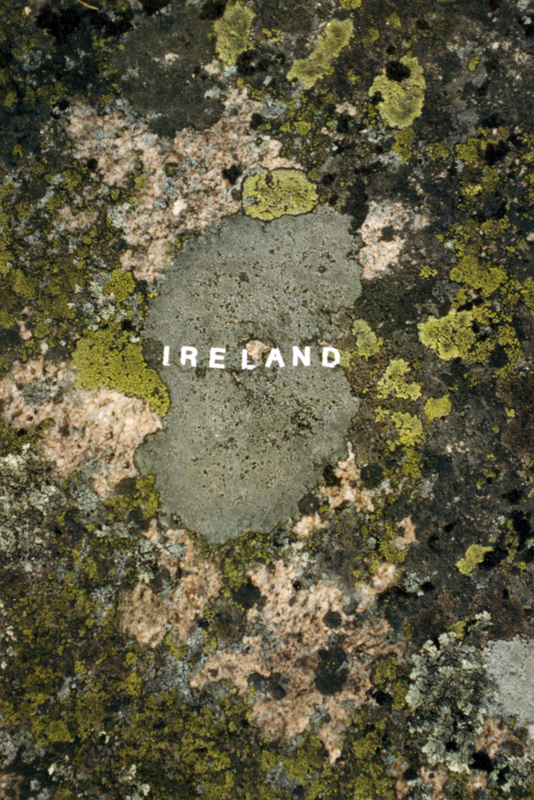 The Moss Maps series consists of about 20 photographs like those shown here.